Revelers don’t have to break the bank this Black Friday thanks to special deals available throughout the city of Atlanta. After standing in line and fighting for the best Black Friday deals in Atlanta, hungry shoppers can receive 10% off at Concentrics staple restaurants: ONE. midtown kitchen, The Brasserie and Neighborhood Café at PARISH, TAP and TWO urban licks, when providing a receipt from any retail store dated on Friday, November 24, 2017. Whether kicking off the morning with PARISH’s Acai Smoothie Bowl, refueling at TAP with a mouthwatering Double Stack Pub Burger during lunch, or winding down the day at TWO urban lick’s or ONE. Midtown Kitchen, there’s something for all holiday shoppers to nosh on throughout the day. Guests cannot combine this offer with any other offer and does not include tax, gratuity or alcohol. ONE. Midtown Kitchen is located at 559 Dutch Valley Rd NE, Atlanta, GA 30324. For more information or to make a reservation at ONE, call 404.892.4111 or visit onemidtownkitchen.com. The Brasserie and Neighborhood Café at PARISH is located at 240 North Highland Avenue, Atlanta, GA, 30307. For more information or to make a reservation at PARISH, call 404.681.4434 or visit parishatl.com. TWO urban licks is located at 820 Ralph McGill Blvd. Atlanta, GA 30306. For more information or to make a reservation at TWO, call 404.522.4622 or visit twourbanlicks.com. TAP is located at 1180 Peachtree St. Atlanta, GA, 30309. 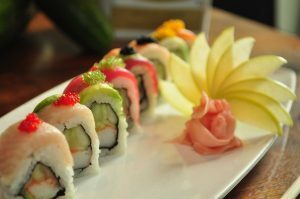 For more information or to make a reservation at TAP, call 404.347.2220 or visit www.tapat1180.com. A unique concept that artfully blends the modern steakhouse and chic lounge into one, patrons can take their Black Friday and Cyber Monday to the next level with a special, limited time offer from STK Atlanta. Midtown’s sexiest steakhouse will be hosting a pop up shop from 10 a.m. to 5 p.m. on Friday, November 24, 2017, where guests can purchase holiday gift cards and take advantage of STK’s complimentary signature eggnog. Newcomers and loyal diners can give the gift of STK, while getting a gift for themselves in return with STK’s special holiday offer: purchase $100 in gift cards and receive $50 dining dollars back. For more information about STK, please visit www.stkhouse.com. 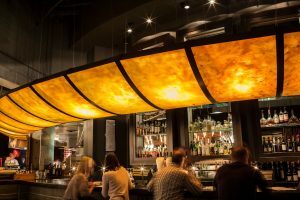 Furthermore, STK Atlanta is located at 1075 Peachtree Street in Midtown Atlanta on the corner of Peachtree and 12th Streets in the 12th & Midtown development. In addition, stay connected on Twitter and Instagram at @eatstk #stkatlanta. 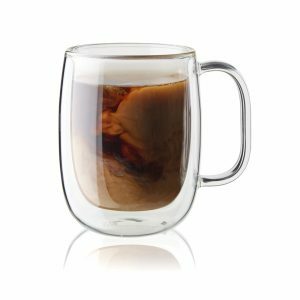 These mugs are similar to Tervis, but glassier. A new spin on coffee mugs, it’s especially festive to drink homemade hot cocoa from these – topped, of course, with lots and lots of whipped cream. Looking to take your cocktails from good to great and all the way to mind-blowing? Start by building them with hand-crafted bitters from El Guapo bitters, and then finish them off with stint in the Crafthouse Smoke box. A creative yet challenging task, it’s always fun to use the bitters to create new, contemporary cocktails and of course, there’s nothing cooler than smoking a drink in the smoke box. Try a smoked negroni or an old fashioned – or get creative and make something totally modern. This holiday combo pack is perfect for any aspiring bartender. How many pieces of cast iron does a Southerner need? The answer, a couple skillets, a grill pan and a cocotte. This item is perfect for slow-cooking meats and vegetables or for hearty stews, chilis and soups during the winter season. Beautiful and festive color, this cocotte is highly recommended for anyone who needs to complete their cast iron collection. Every Southerner should have the essentials in stainless steel cookware, a sauce pan and a fry pan. Now, revelers can elevate their kitchen to gourmet status with this fry pan that is perfect for simmering sauces and cooking up piles of veggies. The helper handle is a crafty addition when trying to move, drain and transfer and it’s surface area is big enough to handle a meal for many. Constructed of five layers, a stainless-steel interior that won’t react with foods, three layers of fast heating aluminum, and a magnetic stainless steel base that’s compatible with induction burners, this pan is unlike other cookware on the market. Southern Kitchen, a digital lifestyle brand part of Cox Media Group, was created to share the stories, recipes and heritage of Southern food and culture in today’s South; the South that praises the locally-made, rejoices in diversity and revels in finding the perfect balance of traditional and modern. Through inspirational and educational storytelling, the website showcases the craftsmen and artisans dedicated to authentically beautiful and useful kitchen and home goods. For more information, visit www.southernkitchen.com. In addition, stay connected on Twitter and Instagram at @southkitch, and on Facebook at https://www.facebook.com/SouthernKitchen/. Black Friday shoppers can take advantage of 10% off their meal at all three of Dantanna’s locations around the city, when providing a receipt dated on Friday, November 24, 2017. Dantanna’s also has a new four-tier BOGO offering this holiday season. Guests can purchase a $50 gift card and receive $10 back, a $100 gift card and receive $20 back, a $150 gift card and receive $35 back, or a $200 gift card and receive $50 back. This offering is available at all three Dantanna’s locations throughout the rest of the year. Dantanna’s Buckhead is located at the Shops Around Lenox, 3400 Around Lenox Rd NE #304, Atlanta, GA 30326. The downtown location is located at 1 CNN Center #269, Atlanta, GA 30303. 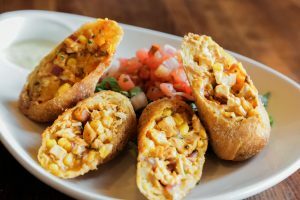 Dantanna’s Sandy Springs is located at Abernathy Square, 6649 Roswell Road Unit 30, Sandy Springs, GA 30328. For more information visit www.dantannas.com or call 404.705.8873. In addition, stay connected on Twitter and Instagram at @dantannas and on Facebook at https://www.facebook.com/dantannas/. Park Tavern features handcrafted beers brewed on-site, as well as spectacular patio dining overlooking the picturesque Midtown Atlanta skyline. From 10 p.m. to midnight, hungry Black Friday shoppers can enjoy half priced sushi from their full sushi bar. The menu also features classic favorites such as burgers, tacos, salads, sandwiches and more. For more information, visit www.parktavern.com or call 404.249.0001. In addition, stay connected on Facebook at Facebook.com/ParkTavern and on Instagram, Twitter and Snapchat @parktavern. 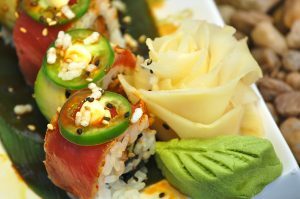 It’s time to rock n’ roll… sushi roll that is, because ROOM, located in the heart of Downtown Atlanta in the TWELVE hotel, has created the ultimate sushi experience for Black Friday shoppers. Executive Chef Juan Carlos Huerta has taken wallet friendly sushi offerings to new levels by featuring $4 select sushi rolls available from 5:30 p.m. to 7:30 p.m., including fresh favorites like the Spicy Tuna Roll, California Roll, Sakura Roll and more. Located at 400 W Peachtree St, Atlanta, GA 30308. For more information or to make a reservation, visit www.roomattwelve.com or call 404.418.1250. In addition, stay connected on Twitter and Instagram at @roomattwelve and on Facebook at www.facebook.com/roomattwelve/. Taking Black Friday to the next level, Blo babes can enjoy “Pink Friday” and finish out the year in style by heading to Blo Buckhead and Blo Ponce to purchase their favorite UNITE products. As a special offer, on Friday, November 24, shoppers that purchase $100 worth of UNITE products, will receive a complimentary blow out. For more information call Blo Buckhead 404.390.3552 at or Blo Ponce at 404.549.3363. Located at 3400 Around Lenox Drive, Suite 213, Atlanta, Georgia 30326, and 650 Ponce de Leon Ave., Suite 620B, Atlanta, Georgia 30308. 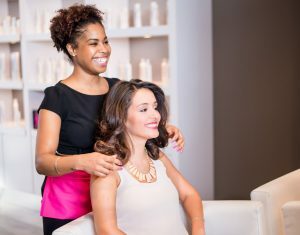 In addition, stay connected on Facebook at @bloblowdrybarponce or @bloblowdrybarbuckhead, on Twitter at @bloheartsyou #bloponce or #BloBuckhead and on Instagram at @bloponce #bloponce or @blobuckhead #BloBuckhead.